Ukrainian producers are currently in the process of expanding their horizons. The growing possibilities presented by the free trade dimension of the EU-Ukraine Association Agreement, coupled with the geopolitical realities of the current confrontation with the Russian Federation, have made the quest for new international markets a top priority. March 2017 saw the launch of Ukraine’s Export Promotion Office (EPO) as part of government efforts to support Ukrainian exporters and help them expand globally. 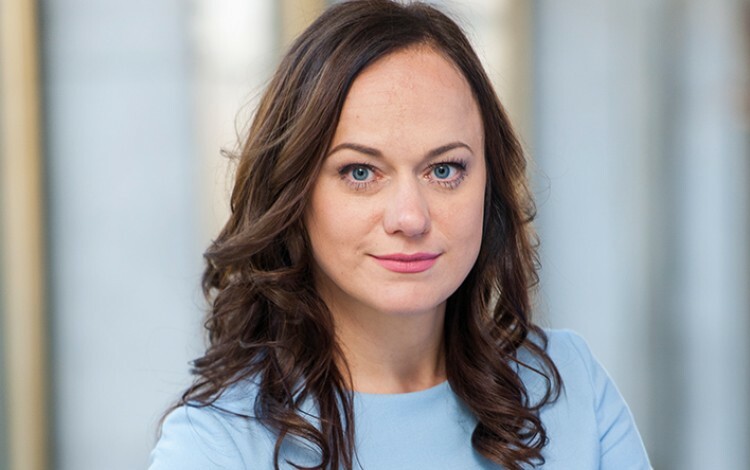 Business Ukraine magazine spoke to EPO Head Maryana Kahanyak about the goals of her Office and the challenges facing Ukrainian export-oriented companies. What is the background to the Export Promotion Office? The Export Promotion Office (EPO) began operations in its current form in March. The EPO is the result of an evolutionary process that has seen the concept of export promotion develop through a number of stages. The original idea was to harness all the available personal experience and knowledge of export support in Ukraine in order to help shape the future development of the country’s export trade. I joined the team at the Ministry of Economic Development and Trade (MEDT) in May 2015 to help organize the Ukraine-America Business Forum in Washington DC. This was a unique opportunity to present the new-look Ukraine following the Revolution of Dignity, to communicate the reforms taking place in the country, and to promote Ukraine in general. Following the success of this initial effort, the Deputy Minister of Economic Trade and Development Nataliya Mykolska initiated the establishment of the EPO. With support from a number of technical assistance projects, we managed to form a small team of like-minded professionals and worked within the MEDT to organize forums in Germany, the Netherlands, Canada, and France, along with trade missions to Malaysia, Indonesia, Kenya and Tanzania. Last autumn, two technical assistance projects signed an agreement with the MEDT providing systematic support for the development and operations of the Export Promotion Office. We now have a team of 20 experts and a clearly defined set of goals and priorities. What is the status of the Export Promotion Office and how is it funded? Formally speaking, the EPO is a consulting and advisory body to the Ministry of Economic Development and Trade. Together with the government, our intention is to create a full-scale institution working in the interests of Ukrainian exporters along the lines of similar structures in different countries. At present, the EPO is a unique example of effective and successful cooperation between the MEDT, technical assistance projects, and the Ukrainian business community. The EPO is able to operate due to support from the Western NIS Enterprise Fund (WNISEF) and Canada’s Expert Deployment for Governance and Economic Growth (EDGE) technical assistance project. Indirectly, we also enjoy support from Deutsche Gesellschaft für Internationale Zusammenarbeit (GIZ). What services does the Export Promotion Office offer? The most simple and direct support the EPO provides is information for exporters. This includes databases, analytical materials, and research. We organize and coordinate educational platforms for exporters (trainings and seminars), as well as various online programs - often in partnership with business schools. Another important part of our work is providing services for exporters such as evaluations of their export readiness and primary consulting. We process requests to find business partners in new international markets, and support Ukrainian companies looking to participate in tenders abroad. We also organize events that can help contribute to the business development of exporters. These events include trade missions and exhibitions as well as b2b and b2g meetings. We have just returned from trade missions to Israel, Sweden and Germany, and have already started preparations for coming trade missions to Belgium, Canada and Turkey. What are the key Ukrainian export trends since 2014? According to the latest state statistics, there has been a general decline in exports since 2013 with the sharpest drop (-29.7%) occurring in 2015. This trend now appears to be over, with 32.7% year-on-year growth in January-February 2017. This impressive growth rate is partly down to the low benchmark figures created by the declines of recent years. Nevertheless, it provides grounds for optimism. The most dramatic changes over the past few years have been in terms of the destination markets for Ukrainian exports. The share of exports going to the Russian Federation has halved from around 20% in 2013 to less than 10% in 2016. 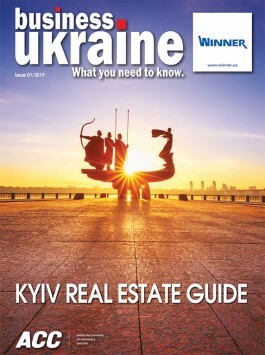 As a result, Ukrainian producers are seeking to enter new markets. The share of Ukrainian exports going to the EU, North and South America, Africa and South Asia is steadily growing. The basket of goods that Ukraine exports is also changing. If we look at the top five exports in 2014, we find base metals and related products, vegetable products, mineral products, machinery and mechanical appliances, and animal or vegetable fats and oils and derivatives. From this list, the export of metals, machinery and mineral products has since fallen by half. Instead, the agricultural sector is demonstrating the most progress, with higher levels of valued added goods for export. Despite the overall 33% export decrease between 2014 and 2016, exports of vegetable and animal fats and oils actually grew over this period by 4%. What are the key difficulties facing Ukrainian companies that previously exported to Russia and are now seeking new export markets? According to the figures for 2016, the EU is now Ukraine’s major trade partner with a steadily growing share of Ukrainian exports. Meanwhile, the Russian share of the Ukrainian export market has halved since 2013. This indicates that many companies have already succeeded in reorienting their exports towards the EU. The EU market is much larger than the Russian market, but it is also more challenging. Ukrainian companies seeking to enter EU markets face a number of specific challenges related to things like obsolete export strategies, uncompetitive products, poor knowledge of foreign markets, and limited marketing and communications skills. How can the Ukrainian government support Ukrainian companies seeking the necessary certification to enter new EU/global markets? The government can only really create the proper conditions for business. The EPO can facilitate access to free information, education and training. We can organize participation in business events that open up new opportunities for exporters. However, companies must deal directly with everything related to operational activities like certification. In other words, everyone should do their job: the ministry should establish an effective export policy at the state level, the EPO should help Ukrainian companies to be successful on international markets, and businesses should take fully responsibility for their operational activities. What role does Brand Ukraine play in supporting exports and how can this brand be strengthened? One of the challenges we currently face is the need to present Brand Ukraine in a consistent manner at international exhibitions and fairs in terms of marketing, design and positioning. In order to avoid reinventing the wheel every time, we need to develop a national brand book. This will significantly aid the process by defining the basic guidelines and standards for all country-branded products. It will allow us to make sure everything complies with a single style. This brand consistency is very important for business and for the state.